How well are your emotional needs being met? It is obvious that we need to have food, water, warmth and shelter from the elements, but we often overlook that we have emotional needs as well. These are equally crucial for our wellbeing – and healthy survival. Nature programmed us with these needs so we could build lives that work for us and, to help us get them met, also gave us inherent abilities and skills to do so. 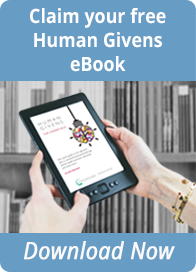 We call these innate needs and resources ‘human givens’ because we all come into the world with them. They are our genetic inheritance. When you are getting your needs met in a balanced way it is impossible to have any form of mental illness. >> Review how well your emotional needs are being met using this section of the site. 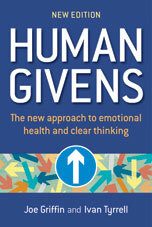 To find out more about the human givens approach, how it developed and how it can be applied (which is a topic far greater than this website has space for) read Human Givens: the new approach to emotional health and clear thinking.